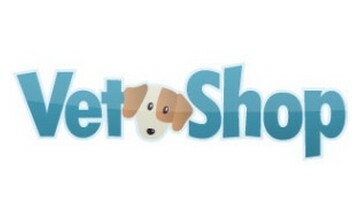 Shop for pet medications and pet supplies at VetShop.com if you have a cat or dog that requires attention. VetShop.com is owned and operated by pet owners and pet lovers who are keen to offer the best pet products at affordable prices. Vet Shop is a one stop shop for safe and quality pet medications. The company is constantly adding new products. VetShop.com is a trusted online store that sells a wide range of over-the-counter pet medications. This website carries many of the leading dog and cat product brands, including Advantage, K9 Advantix, Program, Capstar, Profender and Frontline Plus. While the company sells its products to American customers, most of the pet medications they carry are the Canadian or European version of the medication. Vet Shop also offers generic versions of various pet medications. There are many online stores that offer popular pet products at affordable prices, so why buy your pet medications from VetShop.com? Vet Shop is preferred over their competition because they offer lower prices and free shipping on all orders. The company provides lower prices on most products. With no shipping charges, you can save a significant amount of money by buying your pet medications from Vetshop.com. Moreover, Vet Shop is one of the few pet stores that offer customer support services 7 days a week, 24 hours a day, 365 days a year. Their website is easy to navigate and has helpful product descriptions to help you make an informed purchasing decision.